If you took Delta Airlines and want the customer service number to baggage claim, you’ve come to the right place. Below we have the baggage claim phone number and how to bypass the auto attendant and speak to a live person. Note that if you visit the Delta website, it is very difficult to find a phone number to call. Also, if you complete their online form, it tells you that it takes 2-4 weeks to get a response – Yes, 2-4 weeks. So, we encourage you to follow the instructions below to speak to a human, so you can get a good idea about what is going on with your bag(s). How to Speak to a Customer Service Guide Agent: The best number to call is 800-325-8224 toll free. You will be greeted by the auto attendant. The attendant will ask you whether you are calling about Delayed Baggage, Damaged Baggage, Lost Personal Items, or Baggage Allowance Policy. Ignore all that information and press “Zero”. You will be asked to enter your sky miles number. Just say “I don’t have it”. You will then be transferred to a customer service representative. They will ask you for the tracking number you were given when you filed the claim at the Delta airport baggage claim service. If your issue happened after you left the airport, let them know that. Once you provide this reference number, they will be able to give you an update. When we tested this number, we were able to speak to a human right away without any hold. If you are at the airport, you should first report the bag lost, damaged etc and get that tracking number before you call the toll free number for help. 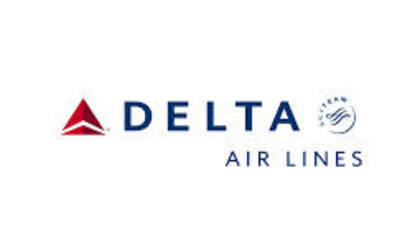 Support Hours: The Delta Baggage Claim Customer Service is available 7am – midnight local time. You can also email them at [email protected] but we doubt you will get a quick response there..